On behalf of all of the staff members at Holland Christian Middle School, I would like to welcome you to the 2018-2019 school year! Our desire is to create a community where each individual student is valued and loved for the person that God created them to be. Together, we grow and develop spiritually, academically and socially which makes our theme for this year “Preparing a Table” so fitting. The Bible is full of examples of the importance of preparing and gathering around a table. The table represents hospitality and fellowship which are hallmarks of our Christian faith. In gathering around a table together we take time to listen, to truly see each other, to learn, to see things from another’s perspective and to develop community. Our ultimate example of preparing and gathering around a table is Jesus’ invitation to gather around His table where ALL are invited. He instructed us to do it often and in remembrance of Him and His sacrifice for us. So, as we gather this year around classroom tables, lunch tables, media center tables and office tables, our prayer is that we do so following Jesus’ example. As many of you know my role at HCMS this year is that of Interim Principal. Mr. Hollebeek, the Principal, has been fighting a courageous battle with cancer over the past year and thanks be to God, he is responding well to treatment and is becoming stronger every day! His focus right now needs to be on growing stronger and his plan, with God’s help, will be to being working a day or two a week beginning in October or November. As his health improves, he will continue to add days and we will be working as a team until he is able to return back to work full time. Please continue to pray for a speedy recovery and strength for Mr. Hollebeek and his family as they faithfully walk this difficult path. Orientation will be August 20, 2018 from 10:00-2:00. For those of you who are returning, we look forward to see you again and if you are new to HCMS we look forward to meeting you! Included with this letter is important information that you will need to make this year as successful as possible. If you have any questions after reading through it, please call the office. We would be happy to help. Please join us in praying for God’s blessing for an amazing year!! Tuesday, August 21: We start school this year with a full day from 8:00-2:55. Our Rose Park shuttle will be running for both AM and PM pickup times starting on Tuesday for the school year. Our schedule for the rest of the week: 8:00 AM start time and 2:55 PM dismissal time. Note: no late start on Wednesday, August 22. Our student schedules will be open, via Powerschool, starting on Tuesday, August 14th. If you received a schedule, please disregard due to a glitch in the PowerSchool software program. All finalized schedules will be available on August 14. As in years past, we will also be giving each student their printed schedule and other important paperwork at Orientation Day, August 20th. Starting August 29, Wednesday start time is 8:25. This is the normal start time on Wednesdays. Check in day is August 20 at the middle school from 10:00am-2:00pm. Come have your picture taken for your student ID, walk around the building and find your locker, pick up your schedule, meet your teacher and stop by the hot lunch table. You can also sign up for Fall Athletics or turn in any completed physical forms during this time. If you would like to order photos, go to this website. Please note, the Middle School yearbook is included in the yearly activity fee and does not need to be ordered separately. Each student will receive one at the end of the school year. Picture Make-up day will be Thursday, September 6; re-takes and BOC pictures will be taken Monday, October 8. Join us for our Middle School Parent Night on Tuesday, August 28 starting at 7:00pm. Come meet the teachers, learn expectations, check out your student’s schedule and catch a glimpse of the year. Stay tuned for more details. HC website hints: If you are looking for information such as school supplies, hot lunch menus, medical forms, newsletters and much much more, please click under “Schools” and then “Parent Resources”. We encourage you to take a look around and familiarize yourself with the site. If you run stuck, or want to find information even faster, use the search function in the upper right hand corner to find what you need. You are also welcome to contact us with questions at 820-2805 or info@hollandchristian.org. NEW TO HOLLAND CHRISTIAN MIDDLE SCHOOL? Click here for our New Family Information Booklet. The Middle School uses PowerSchool for accessing student schedules, tracking grades, attendance, and family contact information. Student schedules will be available in PowerSchool on August 14 at ps.hollandchristian.org. Parents can log in with the username and password you created in a previous year. Parents new to HC will be sent information for creating a PowerSchool account. The Middle School runs a modified block schedule. This means students take seven classes on Monday/Thursday/Friday, and fewer classes on Tuesday/Wednesday, but for longer blocks of time. Click here for the daily schedule. In addition, it is important that Holland Christian has accurate contact and emergency information in PowerSchool. When you access your student’s schedule, please also check your family’s contact information and make any needed updates using the Demographic Change page. If you are unable to make changes in PowerSchool and you know that changes should be made to your address, phone number, email address or emergency contacts, please contact the Administration Office at (616) 820-2805. Please review the Parent Laptop handbook and sign the forms online. These Online Forms need to be completed each year and need to be done before you will be able to pick up your laptop during the first week of school. Please visit our Technology for HCMS families link if you would like any tutorials on Middle School technology. Your 2018 – 2019 Student Handbook is available here. We encourage you to carefully review this document as a family. Your familiarity with this information will provide the common ground for a successful school year. Please contact your health provider to be sure your student’s immunizations are up to date. All students immunizations must be up to date before the first day of school. In compliance with Michigan Department of Health, Holland Christian Schools will not allow students whose immunizations are not up to date to attend school. Thank you so much for your help with this. Again this year, as per the Public Health Code, each student must have a copy of their most current immunization record and/or copy of their current waiver in their student file for as long as they are enrolled your school. You may fax your copy to our office at 820.3210. Lunch options are offered daily for our students. For the monthly lunch menu and additional details about the lunch program, please visit our website. The cost for a middle school hot lunch is $2.55 (includes milk) and milk is available for purchase daily for $.50. Students may drop off money for their lunch account on check-in day, in our office throughout the year or parents may pay online at sendmoneytoschool.com. 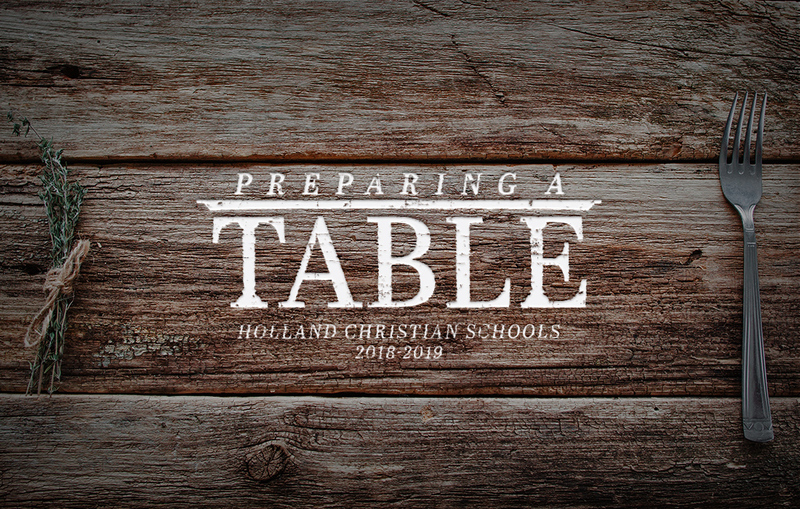 If you have any questions about the hot lunch program, please contact Sue Lambers at slambers@hollandchristian.org or (616) 820-2934. Reduced and free hot lunch are available for those who qualify. To apply for benefits go to lunchapp.com. Sometimes parents may like to take their student(s) out for lunch. Parents may only take their own student(s) out for lunch and students must sign out in the office. Youth leaders or older siblings (out of high school) may also take students out for lunch. Busing is available to Holland Christian students in a variety of different ways, depending on where you live. West Ottawa, Holland and HCS South Side Busing cooperate with HCMS and have their own registration forms and fees. If you have not signed up for busing yet, please do that now. Please find additional information and busing registration forms on our website. Our Fall sports season begins Tuesday, August 21, with football beginning Thursday, August 16 (with football equipment pickup on Monday, August 13). To check for practice times and locations on our website, click on the Athletics link (top right), then Middle School Athletics, select girls or boys sports, then the sport your son / daughter will be playing, and scroll down to the Middle School section. The Athletics calendar links will be updated and available on August 10. A physical form, completed by a physician and signed by a parent, is required by the state in order to participate and must be on file in our office before practice begins. These forms can be printed off our website or by clicking this link. Early Winter, Late Winter and Spring seasons follow and start dates for each season can be found in our Athlete’s Handbook. This handbook with detailed athletic information is also available in our office. A “Pay to Participate Fee” charge of $55 to all students involved in extracurricular activities helps offset some of the costs of the program. This fee will be collected by the coach and must be paid immediately following the selection or determination of the activity participants. In case you missed it, click here to sign up for a fall sport – which includes: girls’ volleyball, boys’ soccer, girls’ tennis (includes 6th grade), cross country (includes 6th grade), and football. Middle School students are encouraged to try a variety of sports. We understand that the expense of multiple sports can add up so we have decided to move from having parents buy a team shirt for each sport, which in some cases could mean 2-4 shirts a school year, to one HCMS ALL YEAR TEAM SHIRT. This one shirt will be used for all sports. For example, if your daughter is on the swim & dive team she will purchase the all year team shirt. This team shirt will also be good for girls basketball, track, or any other sport she chooses to participate in. Please stay tuned for order information coming out later this month. Thanks. General Maroons spirit wear and specific spirit wear for each fall sport is on sale NOW THROUGH AUGUST 13. Please note the AUGUST 13 deadline, which will allow us to get the orders to families closer to the beginning of the fall sports season. The Maroon and White Shop (located at the high school and open Wednesdays 8 am-1 pm) is also planning to offer a limited selection of the general HC items offered in the online store but you are encouraged to order online to get the items in the sizes you’d like. The online shop for general HC spirit wear as well as sports specific merchandise will be available this year prior to each sports season (Early Winter, Winter, Spring). Go to https://www. hollandchristian.org/ athletics/spirit-shop to see the merchandise offered and to place your online order.